Zong is one of the best Pakistani mobile network operators. The zong headquarter located in Islamabad. It offers data services and voice ranging from prepaid and postpaid plans. It is the first china mobile that setup overseas through acquiring a license from a Millicom to manage and operate a network of GSM in Pakistan in 2008. Zong is a subsidiary of china mobile that acquired 100% shares of it. It is also a first network that introduces 4g internet in Pakistan for its users. It is the second largest mobile GSM service provider of Pakistan and in regards to subscriber bases it is the third largest mobile services among 25.7 million. Among the operators of cellular it has 19% of market shares. 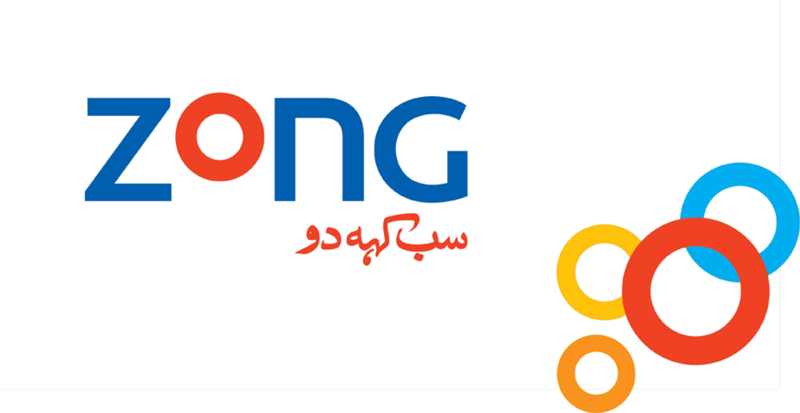 In 1991, Zong introduced operations by wireless and cable as paktel. In Pakistan, it is first network that carry out free license cellular services. Until 2004, it contains services of AMPS as it launches its GSM services. Zong offers thousands of sms and call packages for its users. Paktel limited was named as china mobile Pakistan in 4th may 2007 but it was rebranded Zong in 1st April 2008. Since 2008, it invested more than 2billion to build up infrastructure in Pakistan. It has largest and best solar telecommunication power system among all other systems in a country. The technology that it was currently using is UMTS, HSPA, GSM and LTE. In nationwide, zong contains 190 thousand retails and 305 franchises. China mobile advertise zong with a tag line “Say It All” that means express all your feelings to your loved one through zong network. It also offers plans of postpaid, prepaid, ladies and youth. Zong offers a variety of packages for its customers such as sms, local calls, internet and international calls packages. The zong sms provide daily, weekly and monthly sms and calls packages for its customers. It is the first network in Pakistan that provides 4G internet services in Pakistan. It offers services in cheap and reasonable rates. So anyone can enjoy the unlimited packages of zong. You can also get all information about the latest packages of zong from the website www.zong.com.pk/ to enjoy them with reasonable rates. It provides scholarships to students of university of Engineering and technology. It also organize campaign named “I am a blood Donor” to make people aware of donating blood importance and benefits. To defeat polio from the root it shakes hands with UNICEF. It also sponsors national polo open championship for the gold cup of Quaid-e-Azam. The customer care service of zong is available for it customer 24hours a day. So you can call them anytime and ask any question regarding to call or sms packages. The website is also here for you to make you update about all packages and services of zong so stay connected with the website. How ZONG customers can check balance. Customers can check Zong balance just need to write *222# and press for send. Customers will get full balance details in a while by using this code.